The most exciting space in Africa to raise money at the moment is in fintech. Agtech (agricultural technology) comes second but the separation is huge. Fintech is raising money because Africa is still largely a cash-based economy, as I noted yesterday. Investors understand that the future is going to be digital, and they are pumping money into startups working to digitize African payments. Despite what we have done so far, about 98% of all consumer-to business-transactions are still cash-based in Nigeria. According to research done by The Fletcher School and MasterCard, of the $301 billion of funds flow from consumers to businesses in Nigeria, 98 percent is still based on cash. Yet, most firms are focusing too much on “clicks” neglecting “bricks”. If 98% of your revenue is coming from bricks today, you cannot neglect the physical. Do not listen to them when they say that today is mobile and online. Sure, the future promises mobile and online, but we have to survive today. Do not be intimidated with the alarms on online disruption: the glory on the clicks is a promise. But “bricks” is on our hands. You are investing too much for clicks and your management is focusing largely exclusively on clicks. No one cares about the bricks. Unfortunately, the “bricks” customers are noticing. They are not happy in your stores. So, digital payment companies have 98% of opportunities ahead to be tapped. If they can move from 2% digital payment penetration to 50% of the $301 billion, they would be earning about $4.5 billion on fees if the average commission is 3%. This explains why you are seeing foreign and local investors throwing cash on fintech companies with specific focus on payments. Yes, those companies include Paystack, Flutterwave, and just few hours ago Cellulant. Cellulant raised $47.5 million from TPG Growth fund (along with others). 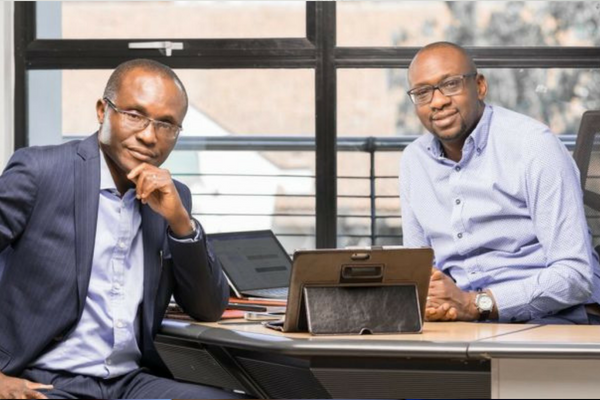 The Rise Fund owned by private equity firm TPG Growth, led a $47.5 million investment in Cellulant, an African digital payments provider with operations in Kenya and Nigeria. The deal which includes Endeavour Catalyst and Satya Capital and was announced on Monday, 14 May, is the first of its kind in Africa not just for the firm but it is the largest involving a fintech company that does business in Africa. The last time a fintech company received equity investment exceeding two digits was in 2017 when Flutterwave secured over $10 million. “This accelerates the company’s goal of becoming the number one digital payments and financial services provider,” Bolaji Akinboro, co-founder of Cellulant and CEO of Cellulant Nigeria said on Twitter on Monday morning. Cellulant was established in 2004 by Ken Njoroge (Kenyan) and Bolaji Akinboro. Initially, the founders focused the company in providing music and news content on mobile to consumers in Kenya and Nigeria. The company began to diversify into mobile money services in 2005. It was awarded a mobile payment license by the Central Bank of Nigerian in 2014 which helped to facilitate its partnership with the Nigerian government to supply fertiliser to farmers using a mobile wallet scheme. This is just a starting point – the startups would need multiples of these amounts to scratch the sector. The challenge is really that they would have to build the foundation infrastructure since government has not provided most basic amenities. Think of offering merchant digital payments when there is no electricity and connectivity. And that is also why what they are doing is exciting: if they build these systems now, they could lockup the opportunities if everything runs on their pipelines. There is no doubt – fintech would offer Africa the first major exit in the startup world.